Super Bowl LIII might get some "Sugar" next year during its halftime show. 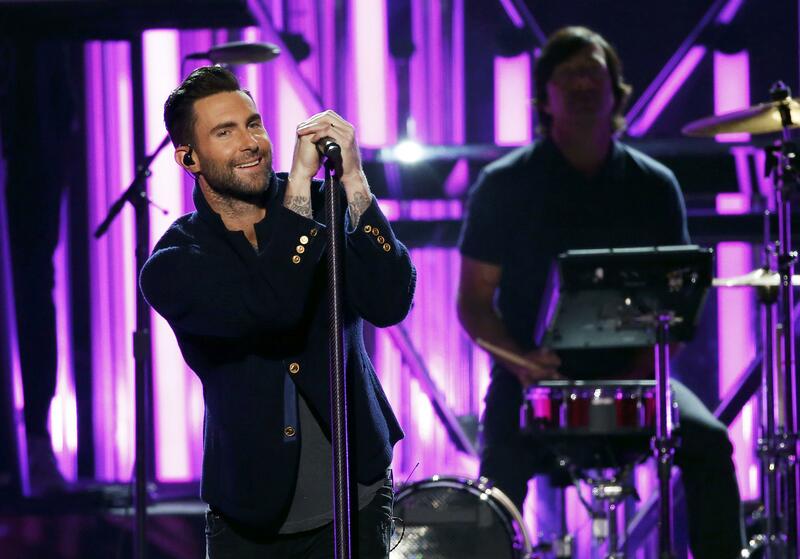 Maroon 5 is a frontrunner to perform during the NFL championship game at Mercedes-Benz Stadium in Atlanta, Georgia, on February 3, 2019, Entertainment Tonight has learned. Maroon 5 – fronted by Adam Levine with Jesse Carmichael, James Valentine, PJ Morton, Matt Flynn, Sam Farrar and Mickey Madden – is currently on tour to promote their 2017 album, "Red Pill Blues." They don't have any dates between New Year's Eve and February 19, leaving room for a Super Bowl show. In 2015, Levine said he and his band were very interested in performing during the highly coveted halftime show. At the time, he told Howard Stern that the band "very actively want to play the Super Bowl." Maroon 5, NFL and Pepsi, sponsor of the halftime show, have yet to comment on the report. At last year's Super Bowl in Minneapolis, Minnesota, Justin Timberlake paid tribute to Prince in the late singer's hometown. In addition to his own hits, Timberlake performed Prince's "I Would Die 4 U" as the camera zoomed out of the stadium, as Minneapolis appeared to turn purple with Prince's iconic "Love Symbol" superimposed over it. At last year's game, the Philadelphia Eagles won 41-33 over the New England Patriots. Taraji P. Henson should be happy. In 2015, when Coldplay performed, the actress mistakenly tweeted, "YAAAAAAASSSSSS!!!! #maroon5 is life to me!!! #superbowl50 #HappyCamper I am." Next year, she might actually see Maroon 5 play the show.